This is the Irish Virago Modern Classic that wasn’t that I wrote about a few days ago. 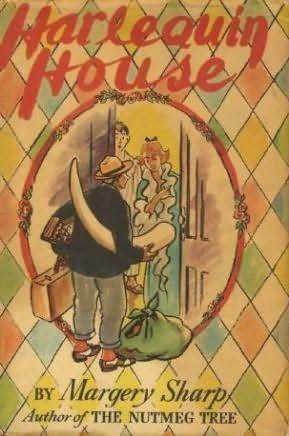 I had been reading ‘The House on Clewe Street’ by Mary Lavin, and I noticed that there was a list of books by other Irish authors. I saw many familiar names and titles, but I also saw an unfamiliar title and the name of an author that I thought – no, I knew – that Virago hadn’t published. 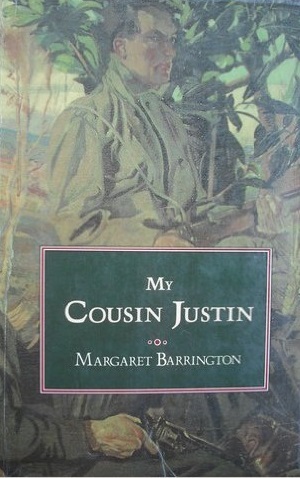 ‘My Cousin Justin’ by Margaret Barrington. I couldn’t find out much at all about the author or the book, but I saw reasonable priced copies, and so I decided to take a chance. When my book arrived, when I started to read, I found that had bought a historical novel set during turbulent years in the early years of the twentieth century. The Thorauld family made its fortune on spinning mills and built a large, grand, stone house on the north-west coast of Ireland. “North the land lies in great tongues out into the sea, protected by walls of black basalt, heave, rounded, smooth as a belly. When these bens do not present an even front to the ocean, the sea pours in over rocks and sand-bars, forming long, sandy bays which lie golden and blue under the summer sun, bleak and wind-swept in the winter storms. At the foot of one of these little bays, sheltered by green hills lay the little village of Glasthule. Beyond the hills stretched the great moors rising gradually to the heights of the Slieve Dhu range. It lay cosy and snug, like an egg in the nest, forty houses or so, squat whitewashed buldings, golden-thatched, the roofs fasten with ropes and weighed down with stones. They surrounded a triangular green on which geese of unknown age and ownership grazed. It was here, “forgotten and it seemed abandoned” by parents who lived abroad, that cousins Loulie Delahaie and Justin Thorauld grew up. They were educated at home by their grandfather, in a household that was managed by his unmarried daughter. They were set apart from the village children, because they were gentry and because they were different; and so they grew wild and they grew close. Loulie tells the story, and her account of these childhood years is rich and it is very well told. She catches the atmosphere of the old house, the dynamics of the small family group, the wild bleak landscape, and so many adventures that the cousins share. The story loses a little when they are parted. Justin is sent away to school, and then he is sent away to fight in the Great War. He marries in haste, believing that he will not return from the front, and his bride creates a sensation when she appear at his grandfather’s house. Loulie’s parents return to Ireland and she is sent to live with them in a very different part of the country. Unhappy there, she escapes to college in Dublin. Then she finds work on a newspaper, she is drawn into the Republican movement, and that brings Egan – a boy from the village who had clashed with Justin – back into her life. He is a Republican too, a gunman on the run from the Black and Tans. She hides him, she falls in love with him, and they marry. But Loulie finds that she and her husband are as mismatched as Justin and his bride; and that their shared cause was more important to him than it was to her. The arc of their relationship is caught beautifully. The human story is always at the forefront, but the bigger history is well explained. I felt that I knew Loulie well, but I would have liked to have seen a little more of Justin’s and Owen’s lives and to understand a little better how they became the men they were. The story was a little contrived, but the lives and times felt real and true. Margaret Barrington wrote well, and I am sorry that her first novel was also her last. She might have grown into a very interesting novelist, but she chose life as a journalist, an interpreter and a political activist. I have no idea why his book didn’t become a Virago Modern Classic; but I’m glad that it at least made the ‘forthcoming’ list and that I found it. The arc of Loulie’s story might not have entirely pleased a feminist publishing house, but I could say that same thing for quite a few books that Virago has published. And yes, there are weaknesses – contrivances and a lack of depth in parts of the story – but I will remember this books for its strengths. It gave me a greater understanding of Irish views of those conflicts, without ever lecturing; it wrapped those arguments up in an engaging human drama; and it described the setting of this drama, the place that Louilie and Justin would always think of as home, wonderfully well.